Icon and Innovator – All in One! 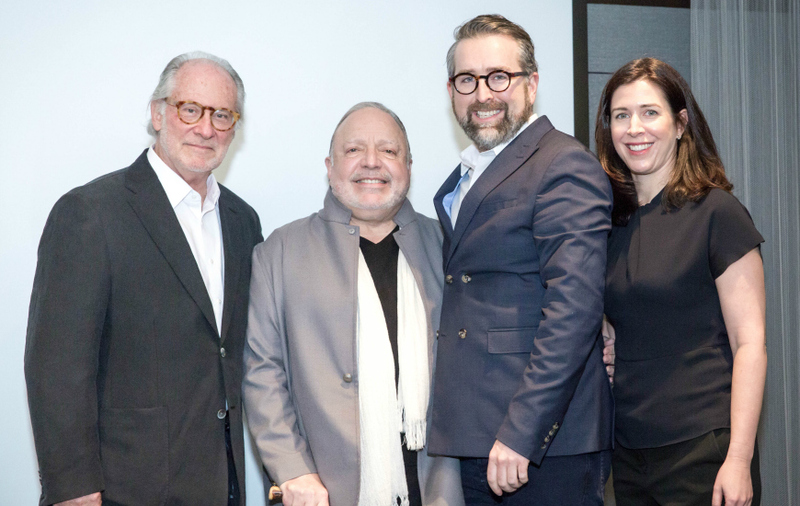 Moderator and Veranda editor in chief Clinton Smith facilitated an enlightening discussion with two renowned designers and true forward-thinkers. John Saladino, who began his own firm in 1972 and is recognized for many firsts in 21st-century interior design (read: scratched-coat plaster on walls, being one of the first designers to have successful furniture collections, and more), and Richard Shapiro, devotee of the arts, gallery owner and 35-year collector of iconic postwar contemporary art. 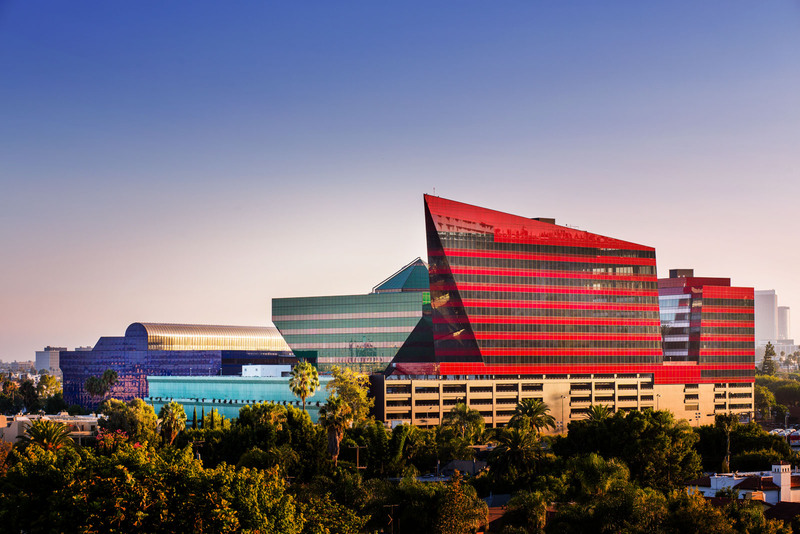 In the mood for engaging keynote presentations, cocktail parties, showroom open houses and product debuts? Well, you’re in luck. Less than one week from now, on March 22 and 23, WESTWEEK 2017 will kickoff at the PDC. The theme of this year’s annual two-day market, “Icons + Innovators,” will offer interesting programs and events surrounding the seminal standard-bearers and groundbreaking influencers leading the design industry forward today. To best navigate the extensive schedule of events, we have pulled together a list of the top five Spring Market themes and where to see them in action! 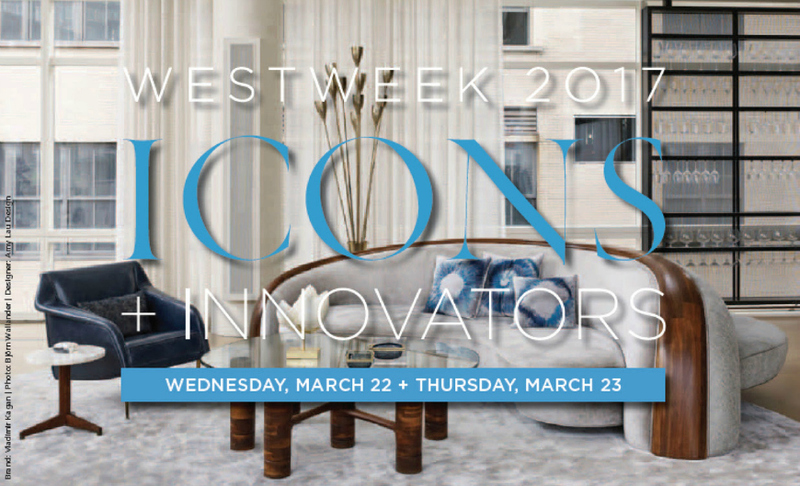 Year after year, the PDC’s Spring Market—better known as WESTWEEK—offers a diverse schedule of events featuring design editors, tastemakers and trade professionals under one roof. This year’s two-day affair (March 22 and 23) will follow the theme “ICONS + INNOVATORS” to celebrate “today’s seminal standard-bearers and groundbreaking influencers leading the design industry ever forward.” As we gear up for the 2017 market, GDG asked five attending designers which WESTWEEK debuts and programs they’re looking forward to, and why attending annually is instrumental in furthering their craft and business. Pacific Design Center is pleased to support the PDC brands and top L.A. interior designers featured in the 2017 historic Wattles Mansion Showcase House. This year’s theme, Hollywood History: The New Classics, will demonstrate through interior design how to reinterpret a historic home for today’s contemporary lifestyle.